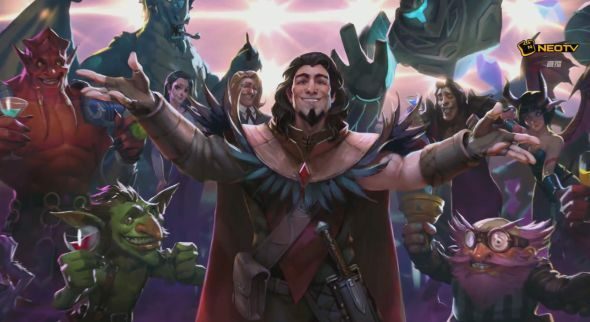 Update: Hearthstone’s newest adventure, One Night In Karazhan, has been revealed. And there it is. 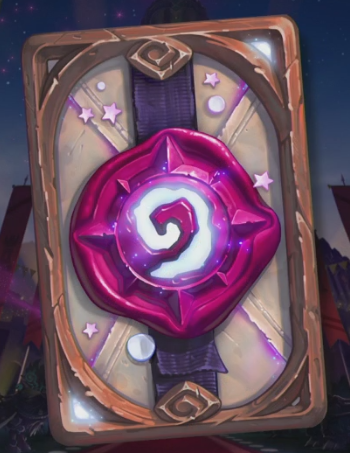 At the ChinaJoy expo in (you guessed it) Shanghai, China, after a long, long intro, Hearthstone lead designer Ben Brode took to the stage to announce One Night In Karazhan, Hearthstone’s next adventure. Here are the best decks in Hearthstone … at least for now. The prologue wing, free to all, will explain what happened to Medivh before the adventure begins and why he has gone missing. I’ll place all of my dust on “drunken mishap.” You’ll fight Prince Malchezaar in there. The first main wing will be the Parlor, where you’ll face off against a Silverware Golem, a Magic Mirror that’s begun insulting everyone and the legendary Karazhan chess board, one of WoW’s best-ever encounters. Second comes the opera wing, where showmaster Barnes wants you to run plays for him. These are Romeo & Juliet, Wizard of Oz and Little Red Riding Hood, featuring the titular pair, the crone and the Big Bad Wolf as bosses respectively. Then comes the menagerie, where Medivh’s Curator has decided instead of keeping all of the wizard’s various monsters in cages, he’ll let them fly free. Encounters include the Curator himself, Nightbane and Illhoof. Finally are Medivh’s private quarters, featuring Netherspite and the Shade of Aran. We’d expect at some point here there’s also a showdown with the man himself. A little more info over on the official site, if you’re looking. Original story:The next Hearthstone adventure is probably,probably, Karazhan. The magic tower that housed one of the game’s best raids and featured in the recent Warcraft movie has ended up a front-runner as far as rumours are concerned after a number of developments over the last few days, including ones made within World of Warcraft itself. The strongest evidence comes, as it often seems to, from domain names. Karazhan.com has had a number of updates over the past few days, now displaying a 403 message that denies access to any part of the site. This is generally used to hide the content of a website under live development before it’s released in full – say, if it had a batch of card images and preview items on it. More over, various bits of web trickery using traceroutes and whois lookups reveal that the site is indeed registered with Blizzard, as detailed in this Reddit thread. The top comment there shows that Blizzard own both the website and the IP block it pertains to. If you add https:// to the front of the Karazhan URL, Chrome will inform you that the security certificate of the website is registered to Battle.net, and ignoring that will forward you to Bnet’s error page. According to further Reddit posts, while the domain was registered quite some time ago, Blizzard did recently buy it. 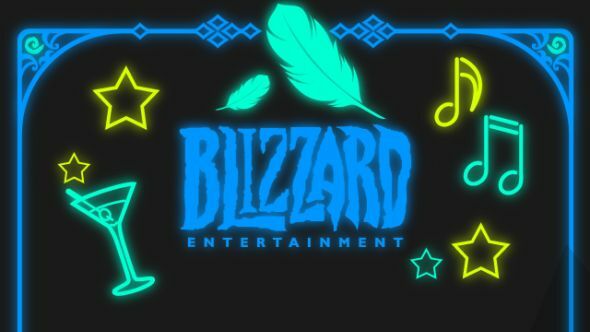 Obviously, it’s not exactly shocking that Blizzard own a domain under the name of one of their most famous locations, but a lot of these changes happened in the last week or so. There’s also been alterations made to Karazhan in World of Warcraft itself, relating to its apparently central role in the Legion expansion, including in several early quest chains that have already been seen in the beta. The enemies around the area have been upgraded in level to match the new expansion and areas have been redesigned, as detailed in this video. The changes in-game are likely unrelated, but a happy coincidence. While it isn’t Blizzard policy to link one game’s updates with another – usually because the timing factors of simultaneous releases are very difficult to contend with while making quality products – they’re going to take the chance if they can. This post also makes a rather amusing connection between a data-mining hoax in 2013 and the current teases being shown off for the new adventure. The hope is that this adventure will release quickly, in much the same way League of Explorers did, hitting very soon after it’s announced at ChinaJoy later tonight/early tomorrow morning. We’ll have a dedicated post for that livestream soon.